Marchionne: 2012 will be 'challenging' for Europe's carmakers. FRANKFURT – Fiat-Chrysler CEO Sergio Marchionne will succeed Daimler chief Dieter Zetsche as president of ACEA, the European auto industry's lobbying body. Marchionne will take over the role on Jan. 1. In a statement, Marchionne said ACEA will further focus on three main issues in 2012: European industrial policy, sustainable mobility and transport, and international trade relations. "These issues are all closely linked as the industry's capacity to invest and innovate depends on a strong, competitive manufacturing base in Europe," Marchionne said. He said a difficult year lay ahead for the European car industry, particularly if Europe fails to solve its sovereign-debt problems. Brussels-based ACEA represents the interests of the 15 European car, truck and bus manufacturers with European regulators. 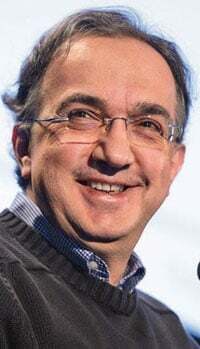 Marchionne, 59, has been a Fiat management board member since 2003 and was appointed the automaker's CEO in 2004. He became CEO of Chrysler Group in 2009, as well as chairman in 2011.